Today, the first foreign media leaked Xperia S price and time to market. Sources said, Xperia S will be on March 5 this year, selling, its price of $ 600 or £ 389.99, or about 3790 yuan or so. 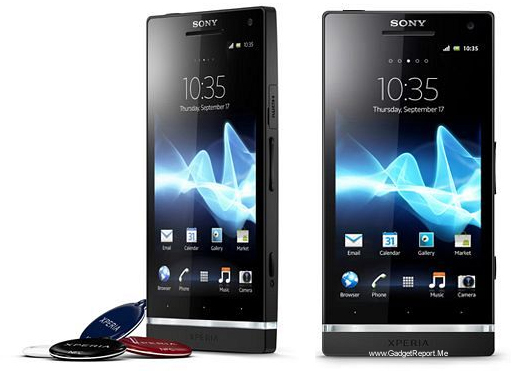 Although Sony's two new dual-core machine Xperia S and Xperia Ion has been released, but the price is no mention of them. Today, the first foreign media leaked Xperia S price and time to market. Sources said, Xperia S will be on March 5 this year, selling, its price of $ 600 or £ 389.99, or about 3790 yuan or so. Xperia S equipped with a 4.3-inch touch screen with a resolution of 1280 × 720 pixels, and add the Sony Bravia Engine technology, equipped with high-pass frequency is 1.5GHz dual-core processor, built-in 1GB RAM, and 16GB/32GB capacity memory space, and provide 1200 megapixel Sony Exmor R sensor camera, Support 1080P HD video capture, through HDMI or high definition video output DLAN interface. In addition, although the Sony Xperia S is currently running Android 2.3 system, but they have made it clear that, in the second quarter of this year to upgrade its update to the latest Android 4.0.